I only discovered Dark Places in December, 2016. I have really enjoyed reading it; the artwork and the stories are interesting and unpredictable. If you haven’t returned to Dark Places after 5 years, then I doubt that you will in the future. That’s too bad; but thank you for sticking with it this far. You are very talented; thank you for sharing your stories with us. 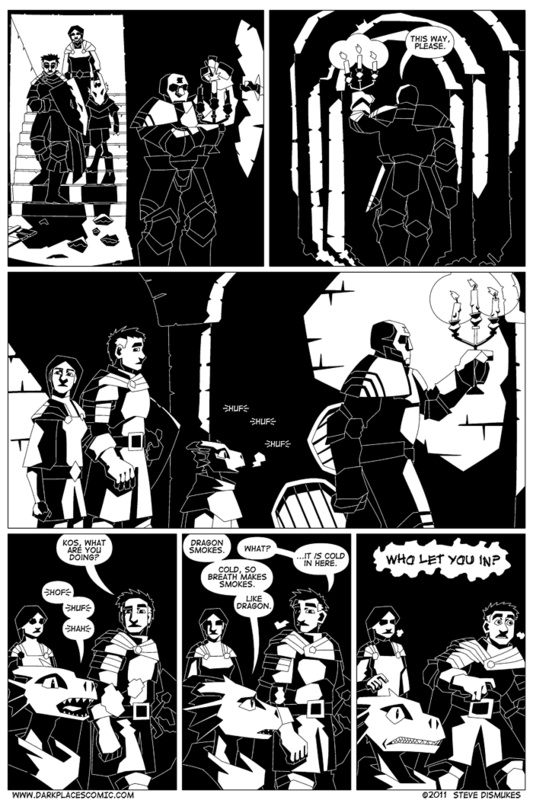 Odd, the byways and faeways that lead to the restless dead of webcomics. I enjoyed my hour here, the art and story are muchly appreciated. Depressing to see it end so, but as it is 2017, I doubt seeing another page again. My compliments to the creator, and helm off to the comics passing. Finding this in 2017 is like finding an old place rich in beauty and curious stories. I am moved.